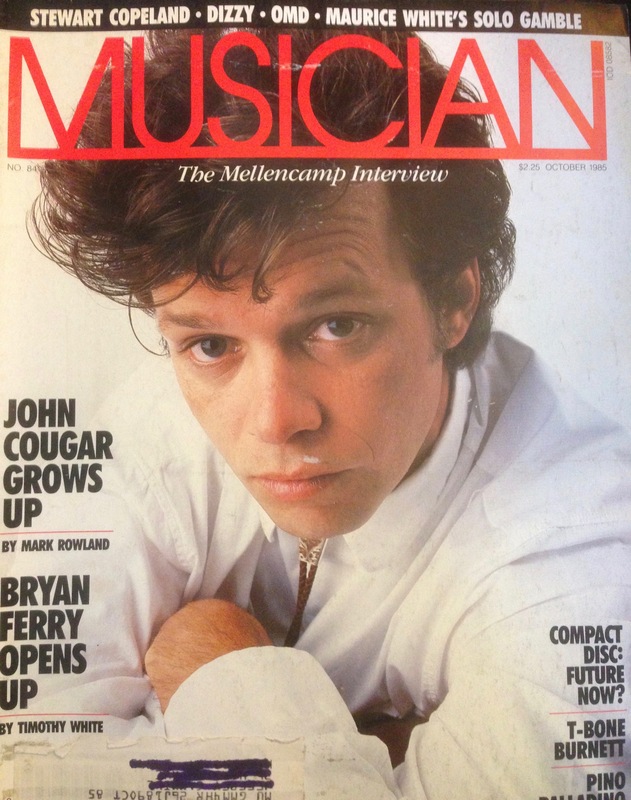 I first picked up Musician magazine in the early 1980s. As the name indicates, it was geared to musicians – of which, I wasn’t one. I didn’t buy it for the pictures of instruments and tech gear, though they all looked nice, but the profiles of musicians and record reviews. He gradually learned that there was more to rock music than looking the part, however. “I Need a Lover” (1978), “Ain’t Even Done With the Night” (1980) and “Hurts So Good” (1982) were solid stepping stones, serviceable tunes that wouldn’t cause anyone to change the radio station. And then ”Jack and Diane” happened. The reaction to that imperfect, but heartfelt song caused him to rethink his approach to music. Like “Hurts So Good,” it hailed from American Fool (1982); a four-star song on a two-star album, in other words. 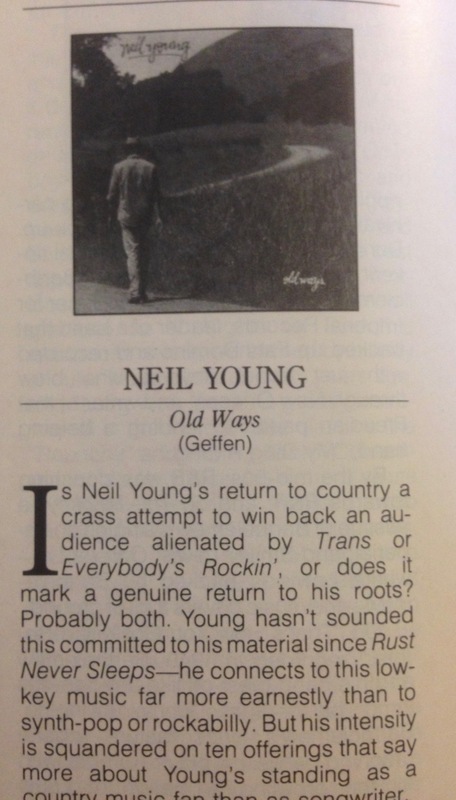 Uh-Huh (1983), his next effort, was better – “Pink Houses” is a classic slice of heartland rock, and “Crumblin’ Down” and “Authority Song” are damn good, too. 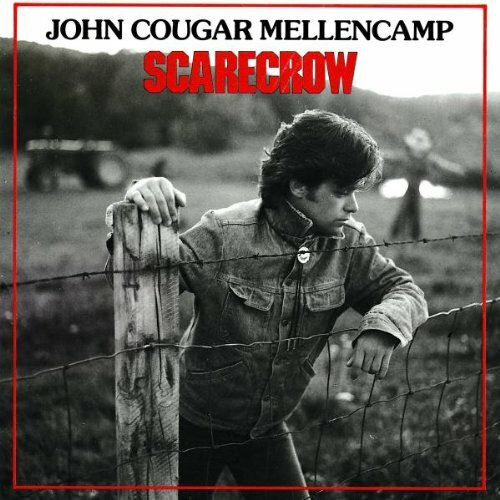 But those songs didn’t foretell just how good he’d become; his next two albums, Scarecrow (1985) and Lonesome Jubilee (1987), stand shoulder-to-shoulder with the best albums of the 1980s. 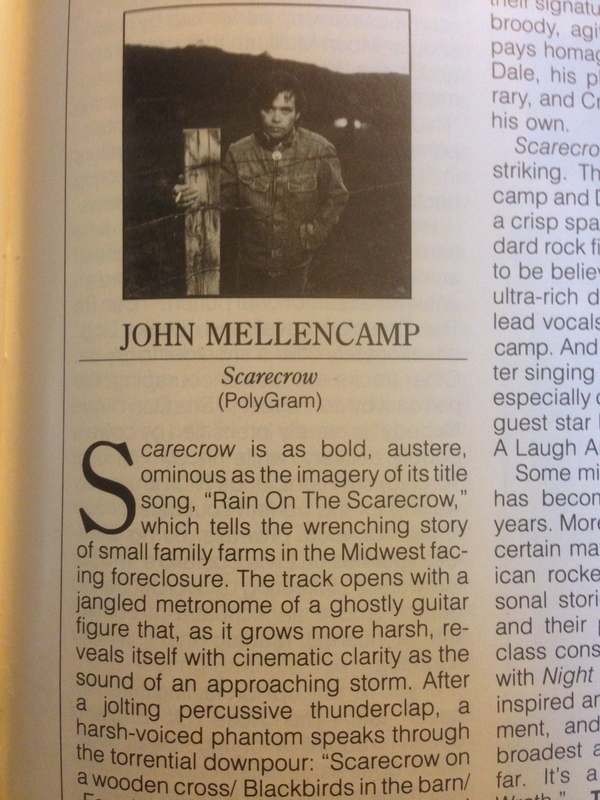 The Wikipedia entry gives conflicting release info for Scarecrow – September is cited in the first paragraph, but November is listed in the quick-hit section on the right. AllMusic lists November, too, but I recall playing the cassette, which came with an extra track (“The Kind of Fella I Am”), long before Thanksgiving – and this Billboard record chart from September 1985 that I just found proves me right. 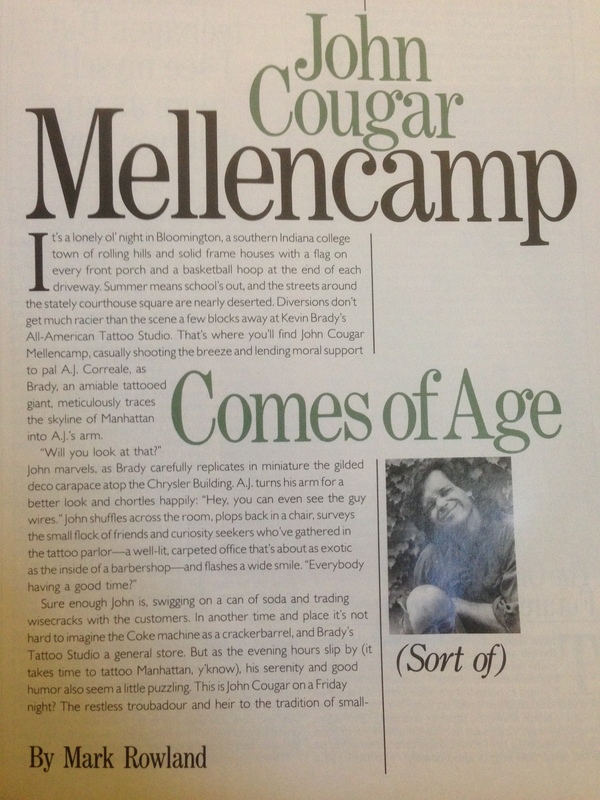 Anyway, at the time, I was a junior at the Penn State mothership in State College, aka Happy Valley. I’ve covered the same timeframe here and here; there’s not much to add. I’d like to list the albums and singles I purchased this specific October, but my desk calendar, where I kept track of such things, remained at home with most of my things. I suspect, though, that it was none. Money was tight, and most of my cash went to non-dining hall food and other essentials, like pencils, typing paper and beer. In fact, there were a few weekends when I hit the road in order to spend Saturday at the department store where I worked – when I didn’t have a Folk Show gig, of course. October 4th was one such example. I made money other ways, too: I rented out my season football pass; and sold my plasma twice a week. On the former: demand wasn’t great (or I was a bad scalper); I made 15 or 20 bucks a pop. On the latter: I possessed strong antibodies, I was told, so earned more than the going rate. My memory says it was $10 the first go-round and $15 the next. About the Folk Show: I’d been on-air a total of two, maybe three times, by October’s end. The first teetered on disaster: a cart tape malfunctioned. Flustered, I muttered “What the fuh…” into the microphone, catching myself just in time to block the the final “ck” from slipping out. I’m sure the listeners were laughing their heads off. he saw the sun set on the Tennessee line. He looked at the young man who was riding beside him. He said, ‘I’m old, kind of worn out inside. and, my father before me, I helped build this land. I earned every dollar that passed through my hands. My family and friends are the best thing I’ve known. The old man had a vision, but it was hard for me to follow. now that I’m older, I can see he was right. Another hot one out on Highway 11. This is my life, it’s what I’ve chosen to do. There are no free rides, no one said it’d be easy. The old man told me this, my son, I’m telling it to you. It’s a remarkable song from an undeniably great album. Despite having the trappings of country music, including fiddles and guest turns by outlaws Willie Nelson and Waylon Jennings, the album isn’t that far from the Comes a Time and Harvest blueprint. It doesn’t match either in terms of quality, mind you, but compared to the albums that it followed (Everybody’s Rockin’) and preceded (Landing on Water), it was an aural oasis. This touching song became a semi-staple during my days on the Folk Show. 3) Dwight Yoakam – “Guitars, Cadillacs.” After a failed stint in Nashville during the Urban Cowboy era, Dwight headed west to L.A., where his brand of honky-tonk music fit in with the burgeoning “cowpunk” scene. He released an EP, Guitars, Cadillacs, Etc., Etc., on an independent label; and earned enough rave reviews to get picked up by Reprise, which re-configured the EP into a full-length album the following year (which is when I bought it). 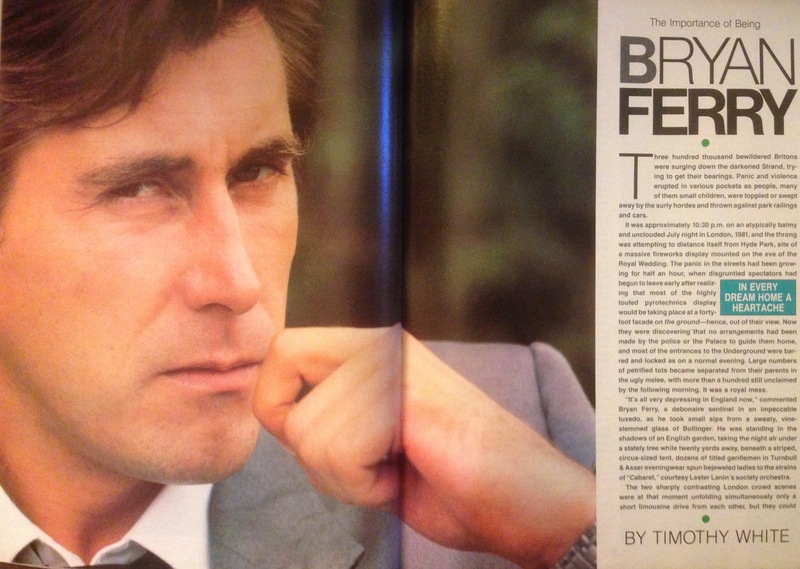 I owned the album; and, to my ears, it was Avalon, Part Two sans the hypnotic pull of the original – actually, Avalon, Part Three, given that Roxy Music’s live High Life EP (later released as the full-length Heart Still Beating CD) was, kinda sorta, Part Two.